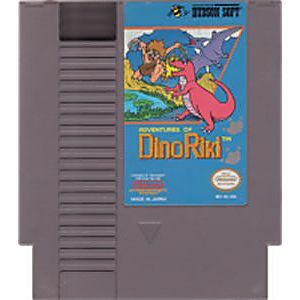 Adventures of Dino Riki original NES Nintendo Game cartridge only - Cleaned Tested and Guaranteed to Work! 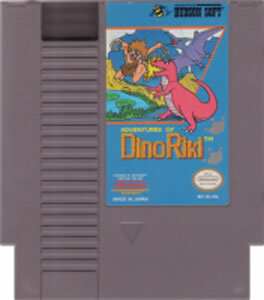 A great NES title at a great price! The game was great. Haven't finished it yet, but it's as good as i remember. I had never played this game and thought I would give it a try. It's really fun but challenging. You are being moved forward the whole time and must kill enemies as quickly as possible. Not the best game ever, but it is worth the price. 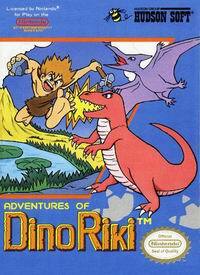 This game has a lot going for it, the character Riki, which is a beast, sweet graphics and even cooler music, its a fun game for anyone, big suggestions on this one.